Built with plastic, and feels less sturdy than the aluminum Vis 180 (the build quality was still decent, and no worse than the average light, but definitely was not as good as L&M’s other products). Mount is supported only by a strap built into the light, and it is difficult to take off/put on the light. This is frustrating if you park your bike in a public location where lights could get stolen and like to take your lights with you, and the light also moves around a lot. No battery level indicator to warn you when the battery’s getting low. The button on the first review unit I received was sticky, making it very hard to turn the light on and off. The button finally stopped working altogether, and I had to leave the light turned on until the battery completely died. Light and Motion did replace the entire unit at no cost, and the replacement has not had this problem (so far), but the Vis 180 Micro definitely has lower build quality than the Vis 180. 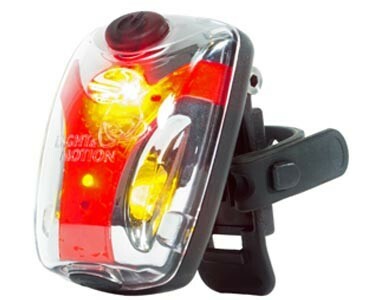 While most of L&M’s products stand out for their superior quality, this light feels a lot more like any other generic bike light in this price range. It’s worth noting though that L&M’s customer support was extremely prompt and helpful.